Newborns are very delicate. Every mother is very careful about her newborn and always tries the best for her baby. There are certain things that every mother should keep in mind to take care of her newborn. But every mother is confused about certain things because they don't want to compromise anything for their babies. First-time mothers are especially full of questions. When your baby enters the world, you promise to take care of it. It becomes very difficult to handle the baby in its first month and later you get used to it. If you are going to have a baby or has become a parent recently, here are some tips to take care of your one-month-old baby. The milk you feed is the only food for your baby. It also helps you develop a connection with your baby. You should take note of the time when you last fed your baby. You should feed your baby approximately six times a day. You can also increase the number of time you feed your baby according to the need of your baby. Do not try to control the feeding times or schedule. You should go according to your baby. Use the right technique to feed your baby as your doctor told you. Safety should be your first concern about your baby. A one month old baby is not aware of the right and wrong. You should be very alert about your baby and the objects around it. Do not keep any sharp or heavy object near to your baby. Also, make sure that there are no toys around your baby when it is sleeping. When your baby is sleeping or lying on the bed make sure that you keep pillow around your baby so that there are no chances that your baby may get hurt. You should also baby proof your house before the birth of the baby. Feeding creates a bond with your child. There are other ways which can also help you create a bond with your child. When your baby wakes up, try to play with it a little or interact with her. This will help you know your baby better and early so that you can understand its need better. You can introduce colorful or sound producing toys to your kids to interact better. 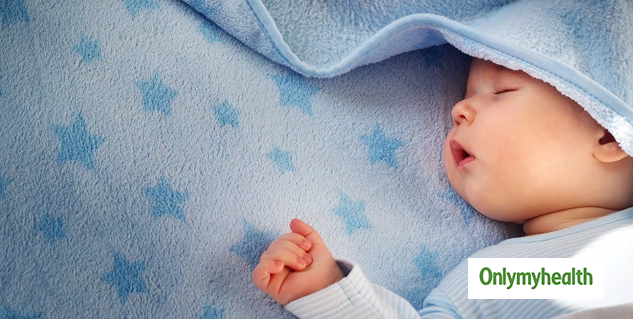 In the starting one month, you should observe carefully the timings your baby prefers to sleep. You should let your one month old to sleep according to its convenience. You should also feed your baby according to its sleeping patterns. You should also check your baby when it is sleeping many times. You should protect your baby from coming in contact with any possible infection or bacteria. A baby's immunity is growing which make it more vulnerable to diseases. Make sure that you do not miss any vaccinations or visits to the doctor. You should also wash your hands before handling your baby and keep your baby's clothes neat and clean. Read more articles on New Born Care.